MineCOG: Rendaraia – What is it? MineCOG: Rendaraia is a play on the name of the popular MMO videogame Minecraft combined with COG, the abreviation for Children of Gaia. Minecraft is a game where you dig (mine) and build (craft) different kinds of 3D blocks within a large world of varying terrains and habitats to explore. In this world the sun rises and sets as you go about your work, gathering materials and making tools. 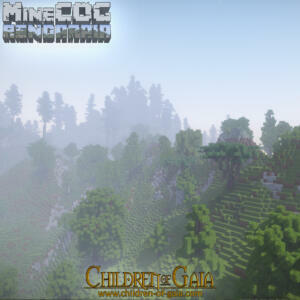 There is rain and the occasional lightning storm, and animals that you can tame, farm or use for food. Depending on which mode you’re playing in, you might also need to fight for your survival against hunger, danger and bad guys. MineCOG: Rendaraia is an interactive adventure that drops you on the planet Rendaraia, where you must forage, build, and make allegiances to survive. So where did this MineCOG: Rendaraia thing come from, anyway? 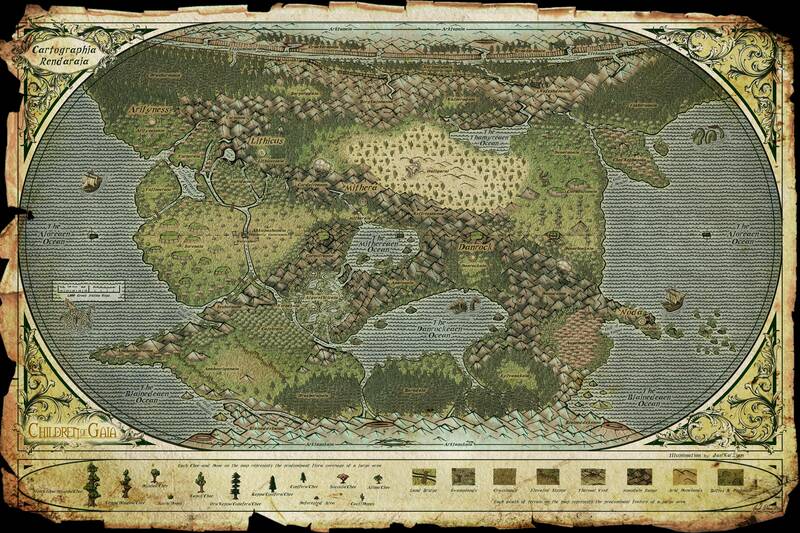 Chances are, you’ve probably already seen the Map of Rendaraia, made by Jayel Draco for his illustrated fantasy novel, Children of Gaia: The Great Nations of Rendaraia. But, if you’re not familiar, here’s the scoop: A while back, Jayel Draco illustrated this map in the styling of cartographic illumination that the fictional character Jan’Ka’Zian would have studied in the Great Nation of Lithicus on Rendaraia—one of the realms in the Children of Gaia universe. Who doesn’t love cartography and old school illuminations, right? 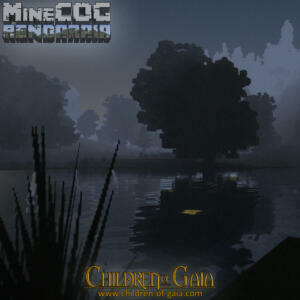 That map became the basis for our new Children of Gaia project: MineCOG: Rendaraia! 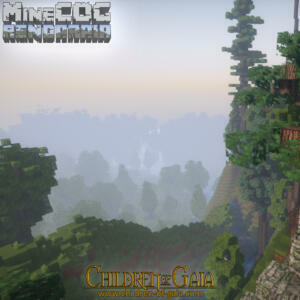 Now, the COGcore is creating a Minecraft server based on the Rendaraia map! It was the brain child of our friend and collaborator, JSquared to create a totally custom-modded, epic, sci-fi/fantasy Minecraft map made for you to get lost in. This map is huge. Like, you couldn’t possibly explore it all anytime soon. In fact, some of it requires the use of airship and/or sea-ship to explore. 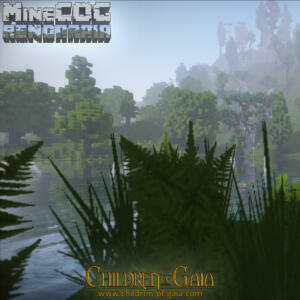 There are oceans, forests, deserts, jungles, mountains, valleys, caves, fantasy wildlife, and so much more! 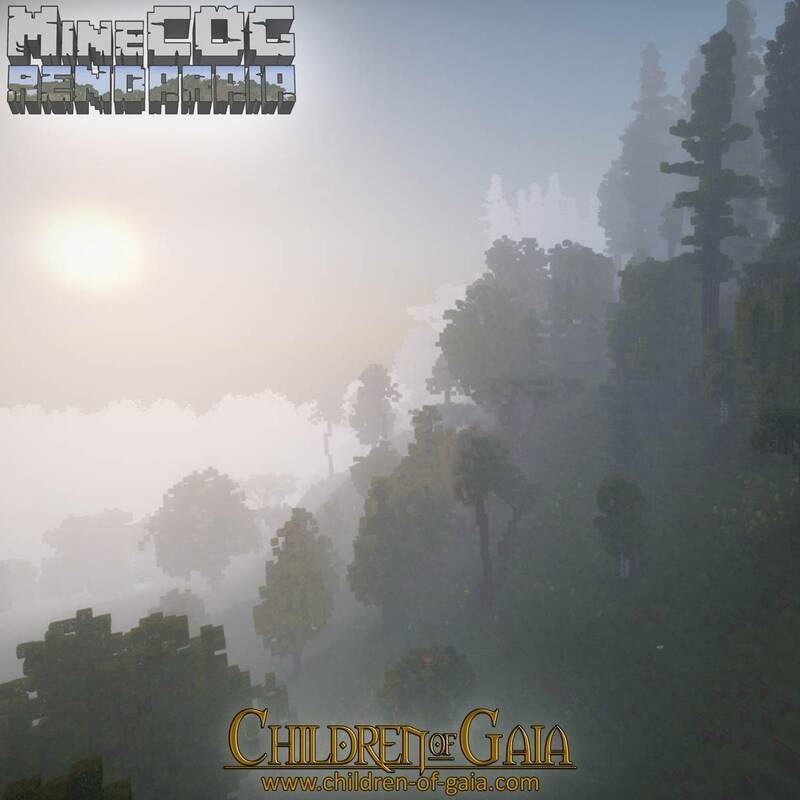 We’ll even be smattering the map with hidden Easter eggs from our various Children of Gaia stories, so watch out for those! 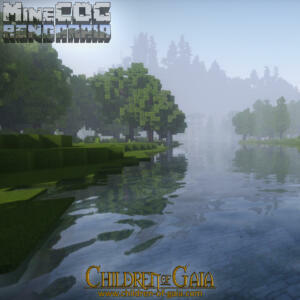 MineCOG: Rendaraia: Come Get Lost with Us! This post is just a tiny sneak peak at a massive work in progress, coming soon from Oneshi Press. In the meantime, you can follow along with our progress when we dual live-stream progress on the MineCOG map! Oneshi Press co-founder and Children of Gaia co-creator Jayel Draco will stream live along with JSquared as together, they create an interactive map as vast, intricate, immersive, and diverse as COG itself. Follow their progress at twitch.tv/jayeldraco and follow the Children of Gaia Facebook Page for announcements.